If you want to add a bit of rustic ambiance to your home, accent lighting could be exactly what you need to top off your home décor. 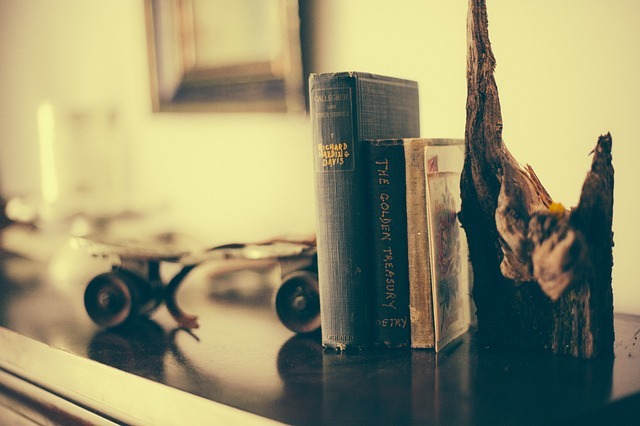 Some homeowners may want to maintain the original vintage atmosphere of an older home when updating their décor. Or maybe give one room in a new house a bit of old-world charm. And while they’ve settled on the primary theme of color and design, they just need that extra “something” to finish it off. Rustic accent lighting will help preserve that natural beauty in your home while creating an elegant, peaceful and cozy atmosphere. 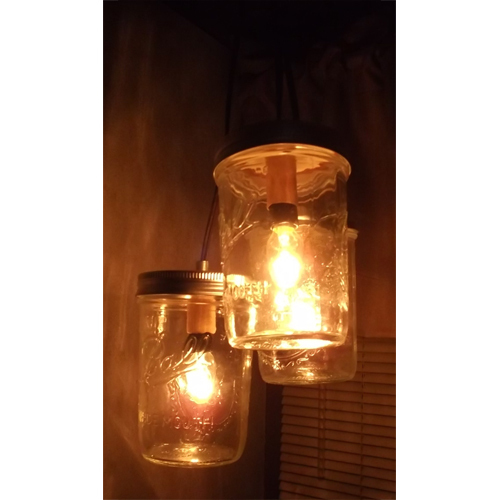 Mason jars and old milk bottles can turn a modern lamp or light fixture into the old world charm you need, without looking out of place or at odds with the main theme of your room. From table lamps and wall sconces to chandeliers and pendant lighting, there’s something for everyone when it comes to accent lighting for the different rooms in your home. Table lamps with a rustic look can be of various styles. You can have the look of different animals, trees, ornaments or even water scenes in order to make your room look different from others. You can also have different scenes on your lampshades to enhance the beauty of your room when you turn on the light. The scene can be of any style like a waterfall, bear cubs walking in a forest, climbing trees or running horses. Or you may opt for simple shades while letting the fixture itself enhance the mood of the room. 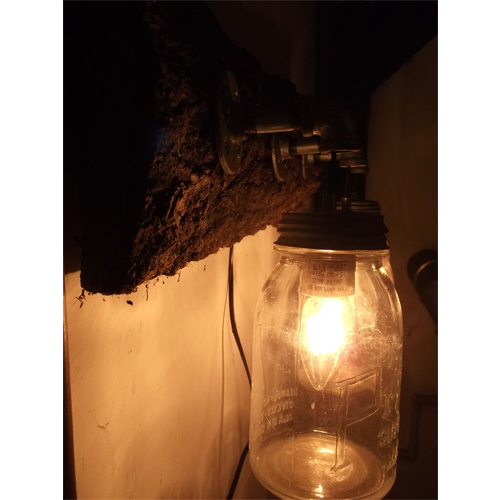 For authentic old-world charm, convert an old butter churner into a floor lamp using a larger mason jar for the light. Now you have accent lighting that’s also a conversation piece! Wall sconces are perfect for adding a bit of ambient light into the background of a living room or den. The fixture can be made of tree wood and mason jars to create a beautiful ambiance as soon as they are switched on. The word “chandelier” may bring to mind something rich and ornate, but when created with vintage milk bottles or mason jars, you can create a chandelier for the perfect rustic accent lighting for a dining room. You can have a chandelier created with an authentic wagon wheel as the fixture and use small mason jars or milk bottles for the lights. Rustic accent lighting can change average looking kitchen décor into a beautiful and eye-catching country style kitchen with old world charm. If you have an island in your kitchen, consider adding a single pendant light over the island to add a certain ambiance to the room and even act as a night light when all of the other lights in the room are off. Accent lighting can be made in any type and style. Just use your imagination. In fact, even an ordinary piece of log can serve as the basis for a masterpiece lighting fixture in any room. 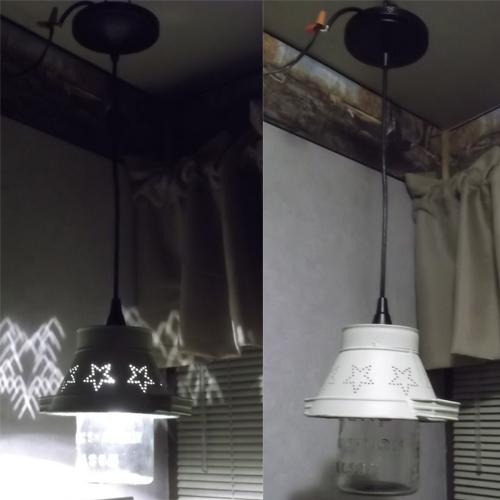 I’m going for a rustic design for my house, so these custom lighting pieces would probably work. My favorite lighting fixture is the one with the mason jar chandelier. I like this idea because it allows me to have multiple accent lights in a cute, but rustic design using mason jars.